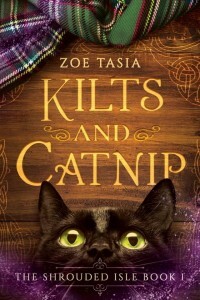 Kilts and Catnip is a cozy fantasy with a sweet romantic flare, depicting the life of Becca Shaw, a young widow, who moves to the Scotland with her two young daughters after her beloved husband passes away. Filled with grief, Becca struggles to find happiness and the previous connection she shared with her children. Feeling the need to spend more time with her daughters and heal, she packs up the family and rents a cottage on an island for the summer. Unbeknownst to her, the Shrouded Isle is a place of mystical wonders and things a sensible teacher shouldn’t believe, but after a few hair-raising run-ins with a kilt clad stranger in the forest and local residents, Rebecca has to admit that something not normal. Arriving at their summer destination tired, after the long day of travel, Becca sets up the cottage for their stay. It is only a short time later that her youngest daughter mysteriously disappears, and her oldest daughter is in a panic. Searching for her child, Becca gets turned around in the forest and meets a curious stranger in a kilt, who reunites her with her daughter. Discombobulated by the late-night events and filled with the terror of a mother who has lost her child, Becca shrugs off the stranger and his warning not to return to the forest. Things heat up with a domestic, telepathic cat and scary wolves hot on their trail, but the residents don’t seem at all mystified about the odd mishaps. Becca remains concerned over her youngest daughter’s change in disposition and tries to figure out just what is wrong and how to fix it. She does a little research at the town library, consorts at the local gala and even cozies up to the neighbor to discover the mystery behind the elements at play. With the roller coaster of odd events and mishaps, she’s not sure she will ever find out the secrets of the Shrouded Isle but has no control over her winsome heart. 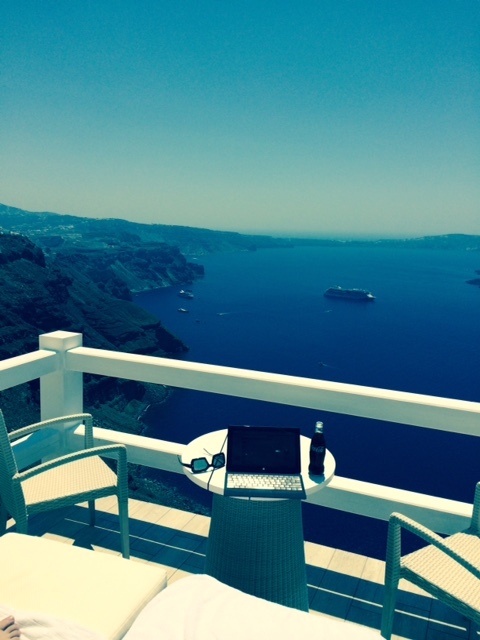 Warm, majestic and full of adventure, this fantasy is sure to entertain. I look forward to reading more of the fae filled forest and the budding romance between Becca and Greg. 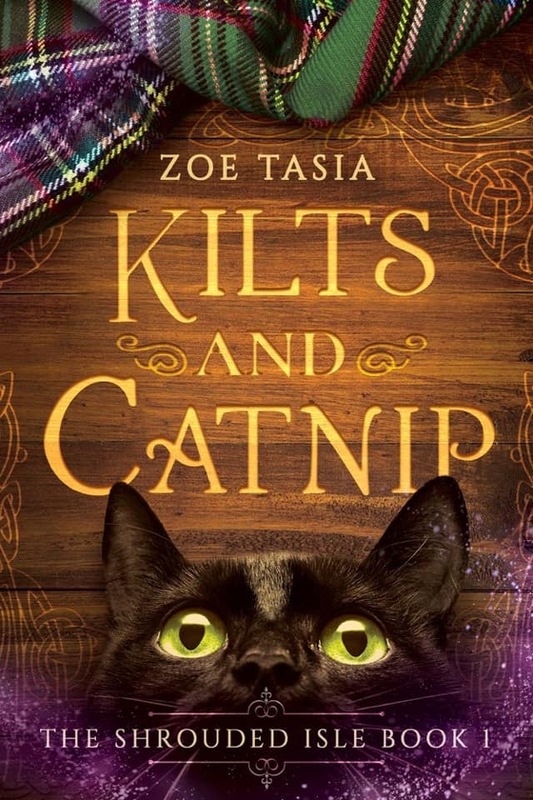 This fabulous story by author, Zoe Tasia, shows a promise of more great things to come. I truly enjoyed this cozy page turner. Don’t miss book one of The Shrouded Isle.